YouTube’s distinction between its main product and YouTube Kids is significant because of the rules on disclosure and parental consent that kick in for sites with “actual knowledge” that they are trafficking in the personal information of children under 13. Those rules were first detailed in the Children’s Online Privacy Protection Act of 1998, known as Coppa. The Federal Trade Commission expanded the act in 2012, noting that it needed to be updated for the age of mobile devices. The revised rules made clear that companies must obtain parental consent before collecting details that could be used to identify, contact or locate a child. These included photos, video, audio and the location of a child’s mobile device. In the complaint that will be filed on Monday with the commission, the advocacy groups say YouTube is able to collect data on children under 13 through its main site, where cartoons, nursery-rhyme videos and those ever-popular toy-unboxing clips garner millions of views. YouTube has sought to define its main site and app as destinations for viewers 13 and older, while directing younger children to its YouTube Kids app. “We haven’t received the letter yet but look forward to reviewing it,” a spokeswoman for the Federal Trade Commission said in an email. She added that the commission took enforcement of Coppa “very seriously” and had brought more than two dozen cases tied to the rule. To bolster their case, the groups shared screenshots of Barbie advertisements set to appear between videos aimed at children. They also pointed to a number of channels for toddlers and preschoolers within “Google Preferred,” a collection of top videos on the main YouTube site and app that are vetted and packaged for advertisers. As YouTube’s popularity has surged, it has faced a string of issues related to content geared to children, from inappropriate videos that have appeared on its YouTube Kids app to deceptive advertising. YouTube said this year that human beings working for the platform would screen all videos from creators whose work appeared on Google Preferred, which the consumer advocates cited as proof that Google employees “have actual knowledge that the content is child-directed.” YouTube has also brokered ad deals with toy companies like Mattel, and has noted how its video ads have helped children’s channels attract specific audiences, like American parents with children under 5. Mr. Golin said he believed that YouTube was aware it was collecting and monetizing the data of children with such videos, and that the company should simply shift all the videos aimed at children to the YouTube Kids app. 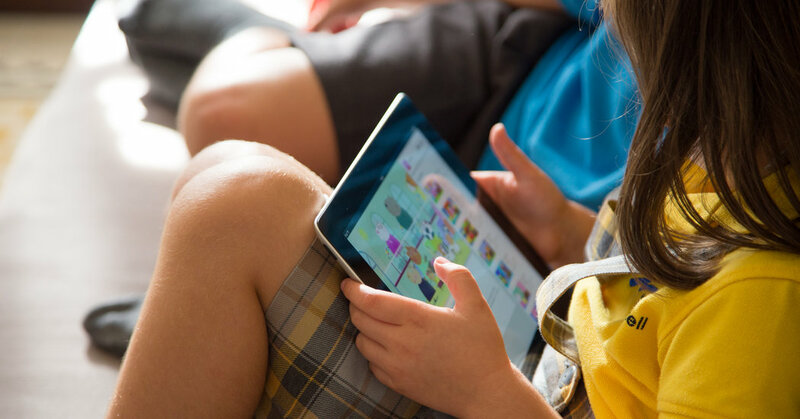 “We know kids are primarily consuming this through iPads and mobile phones, which are not particularly conducive to group watching,” Mr. Golin said. The complaint comes during a public reckoning around the collection and use of personal data by technology companies after revelations that Cambridge Analytica, a British political data firm, improperly harvested the information of possibly more than 80 million Facebook users. It also strikes a warning note for Google and YouTube overseas as Europe prepares to roll out new data privacy rules. Mr. Chester said the groups will encourage consumer advocates in Europe to file similar complaints about Google and YouTube under those rules, where penalties for companies will be stiff. Dylan Collins, chief executive of SuperAwesome, a privacy technology firm used by companies that market to children, said questions around data collection would only grow as children continued to flood huge tech platforms that were built for adults. October 28, 2018 Comments Off on What is adenovirus? October 17, 2018 Comments Off on Infosys Built Its Global Machine With Indian Workers. Can It Adjust to Trump’s ‘Hire American’?